Do you drink enough water every day? That’s something I definitely need to work on! 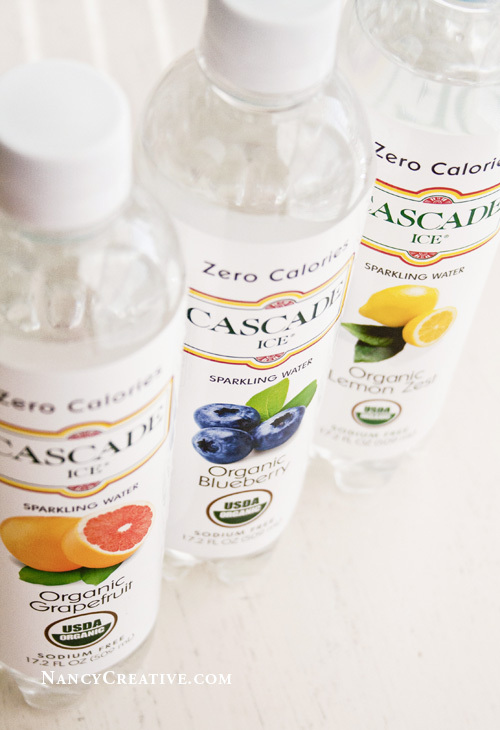 I had recently received some complimentary bottles of Cascade Ice Sparkling Water to try, so I guess that’s what got me started on thinking more about my water intake. (FYI, I really liked this brand of bottled water–it’s very lightly flavored with natural fruit oils and extracts-all organic and calorie-free! I tried the three flavors shown in the photo at left–Grapefruit, Blueberry, and Lemon–and thought they were all really good! I’ve always heard that drinking lots of water is good for you, but I wasn’t aware of all the benefits. So I decided to do a little research on the internet, and now that I’m a little more familiar with the benefits, it really makes me want to drink more water! Just as a disclaimer, I’m no health or medical expert–all this information was found from various articles at the sites I’ve listed at the end of my post. If you have any health issues, this info should not take the place of seeing your doctor and being under a doctors’ care. This post is just meant to give you a summary of some of the benefits of drinking water. PH Balance–To function properly, the human body needs a 7+ Ph range; drinking enough water each day helps maintain this balance. Healthy, glowing skin–Drinking enough water each day gives your skin a natural, healthy glow by flushing out impurities, improving circulation and blood flow, and hydrating and plumping up skin cells. It helps replenish skin tissues, moisturizes skin, and increases skin elasticity. It can also slow the onset of wrinkles. Good Hydration and less Headaches–Drinking enough water each day keeps your body properly hydrated. Good hydration can also help prevent headaches and even migraines. Weight Loss–Water not only boosts your metabolism, it also helps you feel full–if you drink a glass or two of water before each meal, your stomach will feel fuller and you won’t eat so much. Water also helps increase the rate at which your body burns fat and promotes the breakdown and elimination of fat cells. Keeps Kidneys Healthy–Our kidneys need enough water every day to function properly. Water helps kidneys cleanse and rid your body of toxins. If you don’t drink enough water, your liver is forced to help your kidneys detoxify your body. When you drink plenty of water, your kidneys don’t need the extra help, allowing your liver to metabolize stored fat more efficiently. Helps Prevent Heart Disease–When the body is not sufficiently hydrated, cells of vital organs take water from the blood in order to function, which causes the blood to thicken. This puts pressure on the heart, causing it to work harder to pump the blood, which can lead to heart disease. So, drinking enough water everyday helps your heart pump your blood more effectively. Helps Cure or Minimize Some Diseases–Drinking enough water helps reduce or eliminate problems with constipation, heartburn, and other gastric and digestive problems (water helps the body properly break down food for easier digestion). It also helps improve your immune system, helping your body fight against the flu and colds. Some studies show that drinking enough water can also help prevent bladder and colon cancer. Improved Brain Function–About 70-80% of your brain tissue is water, so drinking enough water helps you think better, makes you more alert, and helps you concentrate better. Drinking enough water also helps reduce stress, since your mind and body are stressed when you are dehydrated. Joint Pain and Cramps–Hydrated muscles are more elastic and experience less strain, so drinking enough water will keep your joints and muscles lubricated which can reduce joint pain, cramping, and sprains. Relieves Fatigue–Because water keeps you hydrated and helps flush out the toxins and waste products from your body, other organs, like your heart, don’t need to work as hard, giving you more energy as a result. Sources: Health Cave, Web MD, Mangosteen, Huffington Post, FitDay, LiveStrong, Fight Your Way to Fitness, Top 10 Home Remedies. 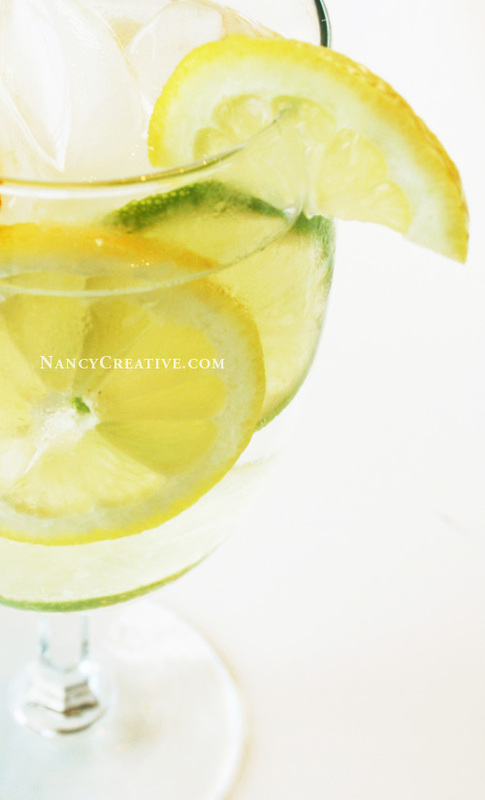 I prefer my water with a little natural flavor in it–it makes it more appealing to me! If you want to try making your own flavored water, check out these posts: Feast Your Eyes on Flavored Water, Lemon Mint Cucumber Water, Apple Cinnamon Ginger Water, and Pear Lime Kiwifruit Water! I am going to make a special effort to drink more water! So far, I’ve been doing pretty well at drinking 5 glasses a day–I’m trying for 6! How about you? Are you drinking enough water every day? 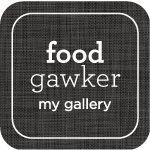 This entry was posted in Beverages/Smoothies, Food and Recipes, Healthy Eating, Healthy Living and tagged benefits of drinking water, featured, health benefits of water, water on September 24, 2014 by nancyc. I used to never drink water, now I drink it all day long. I love it! It definitely grows on you the more you drink it! And makes you feel so much better! I’ve noticed the less water I drink, the less I want to drink, but the more water I drink, the more water I want to drink too! I’d like to try the Cascade water, Nancy. Where can this be found? Hey Julie–it’s the same for me–the more I drink water, the more I want to drink! In our area, it’s available at Whole Foods. Great post! I need to do better, so thanks for the motivation! I need to pay attention to this!!! I do, too–I really need to work at drinking enough water!